Coach Mikey working up to his 1 rep max. 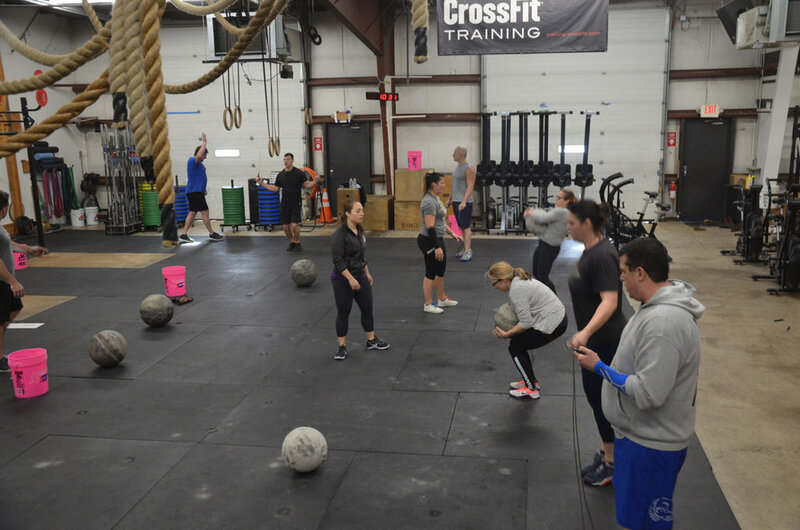 The Friday 9:30am class during the core burner metcon. Kelly during her butterfly chest to bar pull-ups. Sunday Funday with some stone to shoulder.